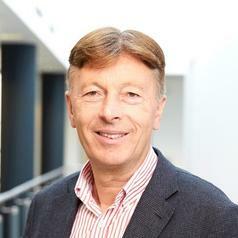 John Colley is Professor of Practice at Warwick Business School and Associate Dean. John's most recent previous role was Director of MBA Programmes at Nottingham University Business School where he achieved MBA and PhD degrees. John also holds degrees at Newcastle University and Lancaster University and is a Chartered and Certified Accountant. Before entering academia John was Group Managing Director at a FTSE 100 business and Executive Managing Director at a French CAC 40 business. Previously he undertook the role of MD of British Gypsum Ltd after having undertaken various leadership roles in Finance including Finance Director at British Gypsum. He has chaired a UK listed plc as well as non-executive director roles of UK and European private equity businesses. Currently he chairs two VCT funded businesses and also advises at board level various private businesses. He was a council member of the Foundation for Management Education, a member of the Economic Affairs Committee for the CBI, and is a member of the Bank of England Regional Panel. He has written thought leadership articles for the national press and is quoted for his views on mergers and acquisitions. John teaches strategy and leadership to MBA and executive education participants.